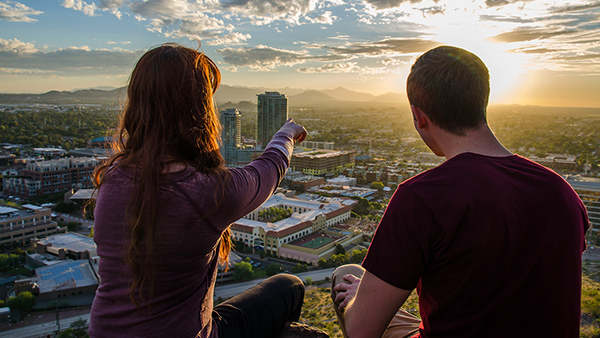 Arizona State University’s School of Sustainability is the first comprehensive degree-granting program of its kind in the United States, with a focus on finding real-world solutions to environmental, economic, and social challenges. 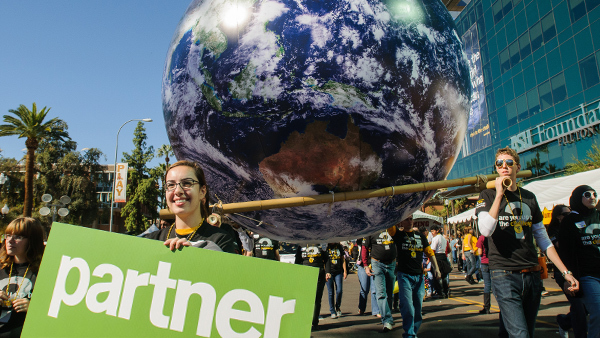 Established in 2006, the School is part of the Julie Ann Wrigley Global Institute of Sustainability , which is the hub of ASU’s sustainability initiatives. The Institute advances research, education, and business practices for an urbanizing world. The School of Sustainability offers undergraduate and graduate programs and minors, as well as doctoral and professional leadership programs. The knowledge and solutions that are created today will shape our quality of life as well as future generations–we have an opportunity and an obligation to make our world more sustainable. The School of Sustainability is committed to transdisciplinarity. Transdisciplinarity creates synergies between multiple disciplines that leads to new insights and knowledge. It is more than just bringing disciplines together — the interaction of disciplines that creates something innovative is that hallmark of transdisciplinary success. Linking academics and with practitioners in the community who are implementing or looking for sustainability solutions is another important trait of transdisciplinarity. Our students are learning from professors, and also from the people on the front lines of sustainability challenges in cities, non-profits and local businesses who we partner with to both provide educational opportunities for our students and to provide sustainability thinking to these organizations. The School of Sustainability takes a transdisciplinary approach in its curriculum, addressing a broad spectrum of global challenges, including: energy, materials, and technology; water quality and scarcity; international development; ecosystems; social transformations; food and food systems; and policy and governance. At ASU we are creating the New American University –a place where knowledge informs decision-making, research and study transcends academic disciplines, students learn from the world around them, and local solutions have global impact. Together we can rethink and reinvent the future of a world at risk. the challenge of providing for global growth and equity in standards of living without irreparably damaging the Earth’s natural systems.